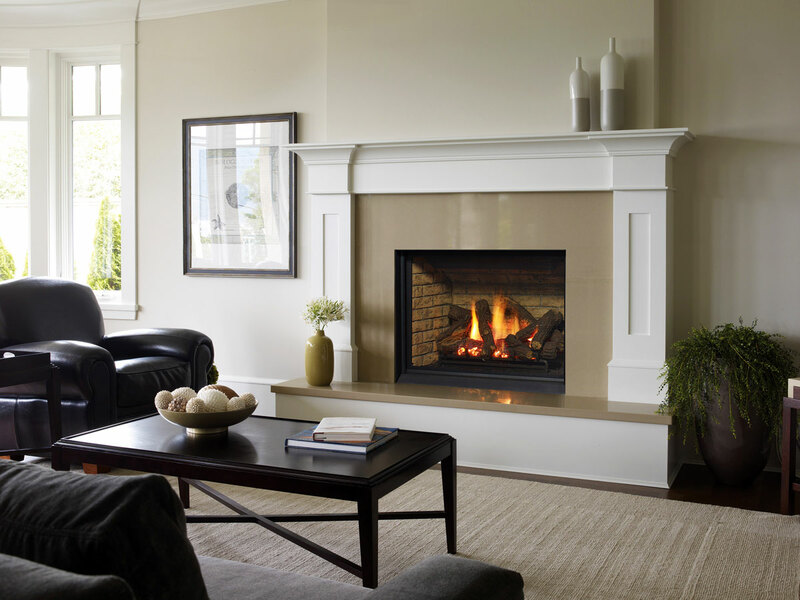 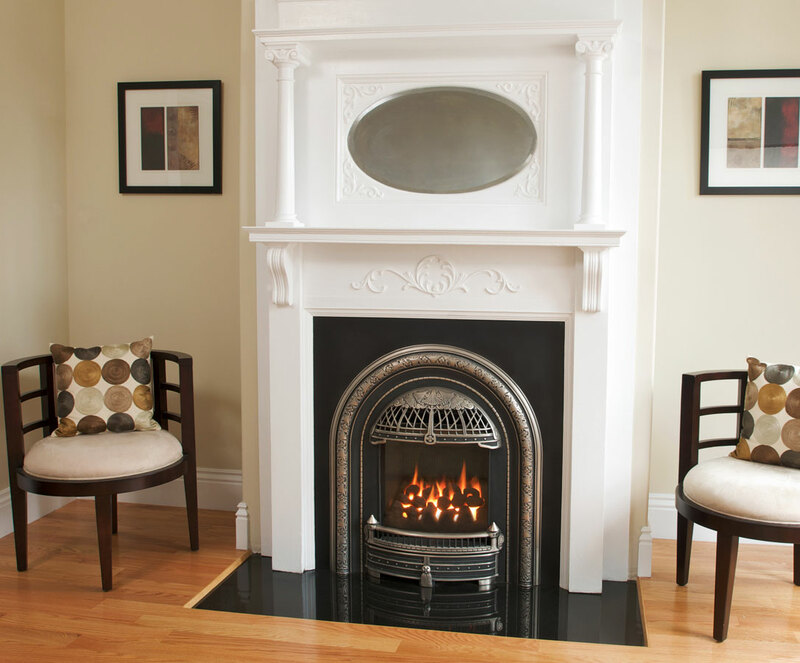 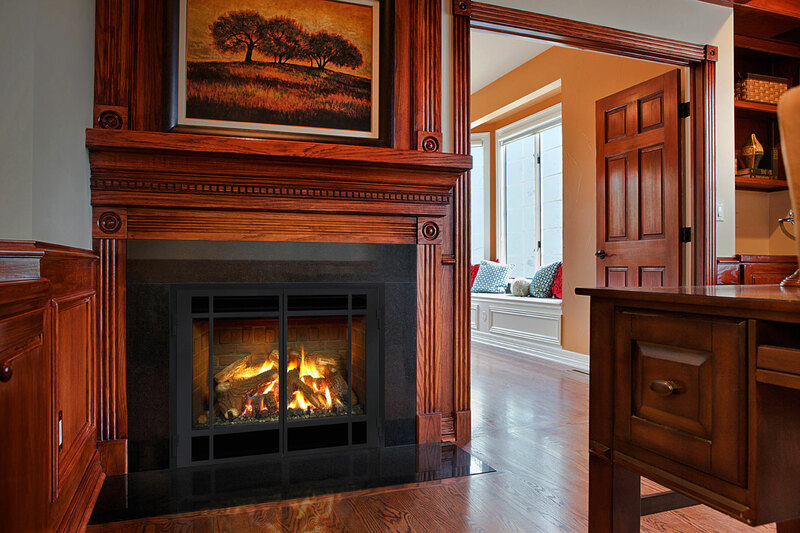 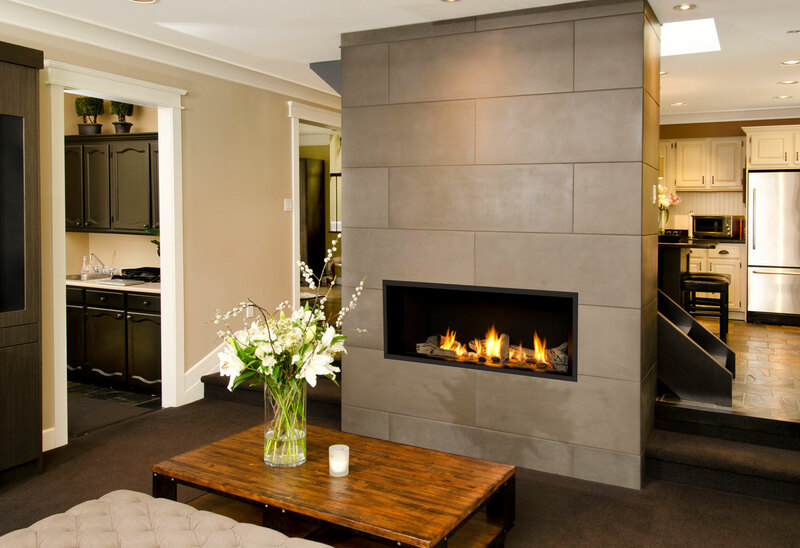 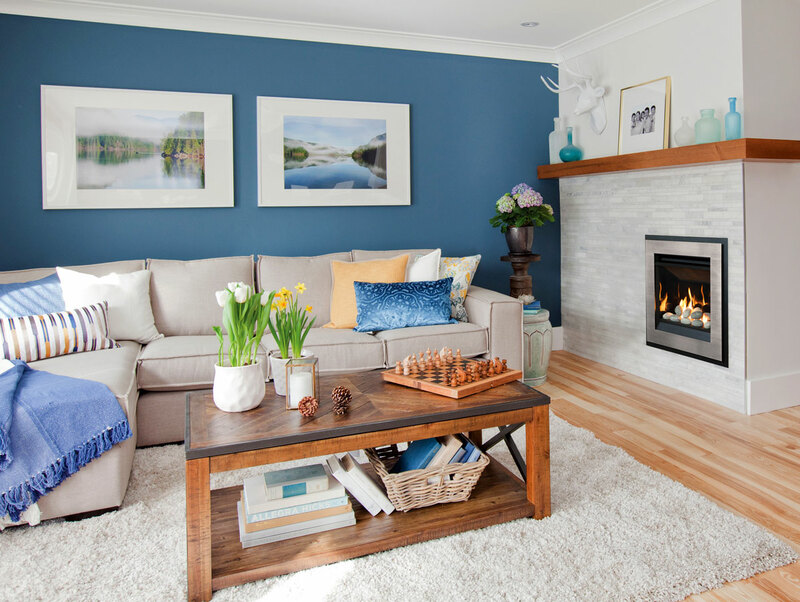 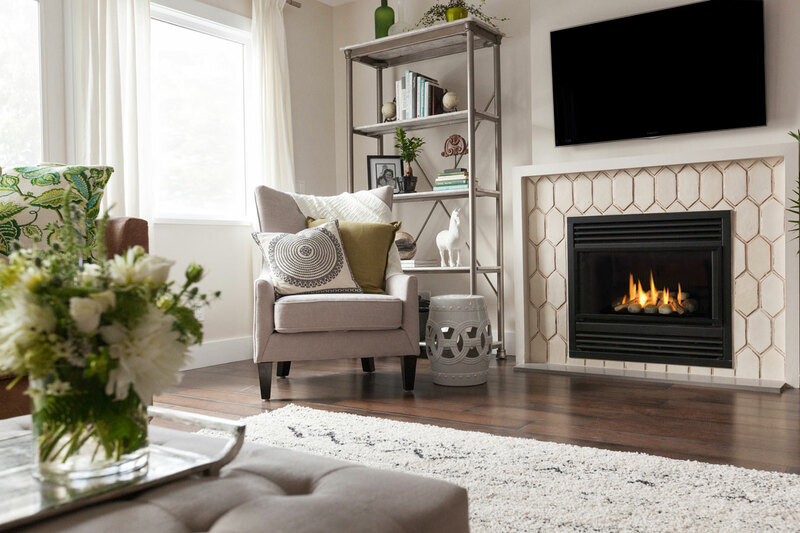 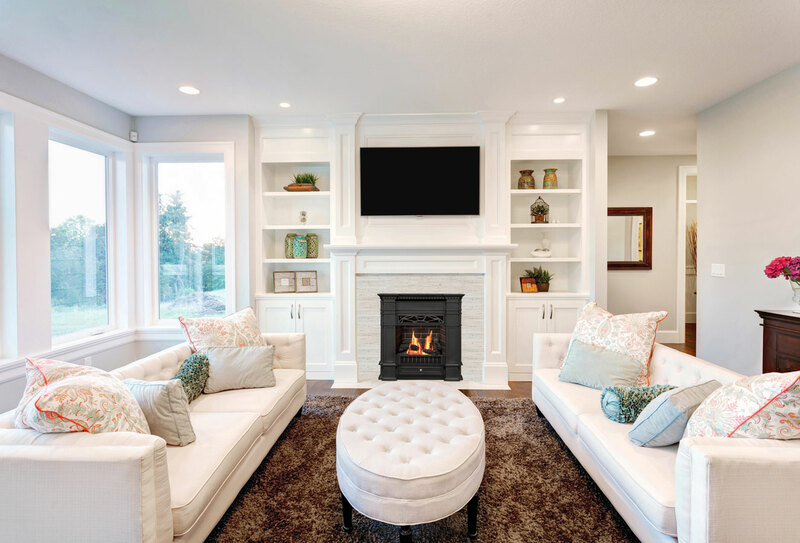 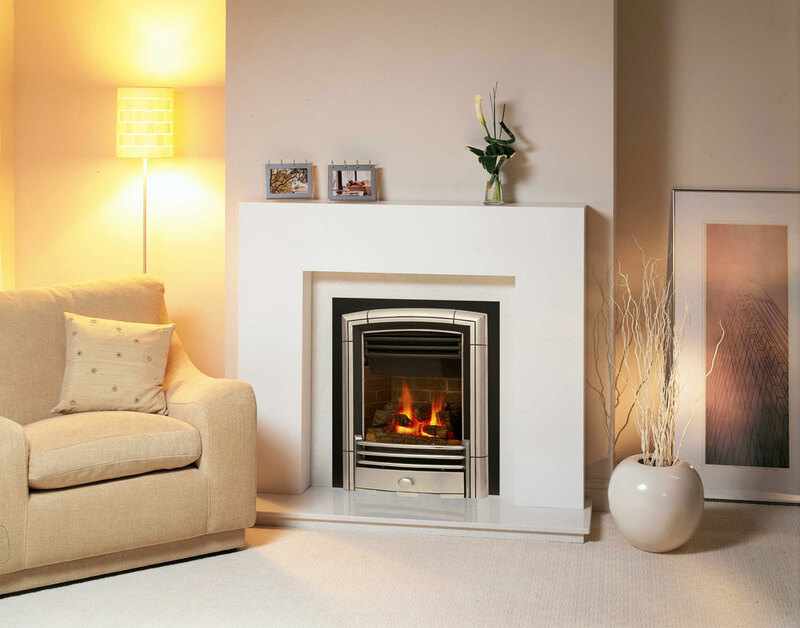 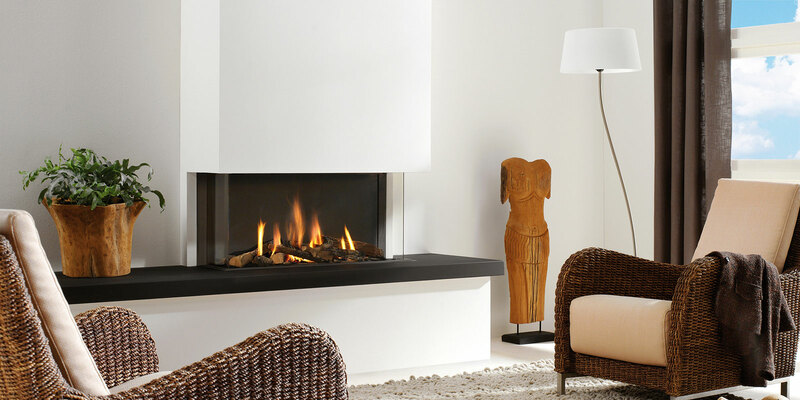 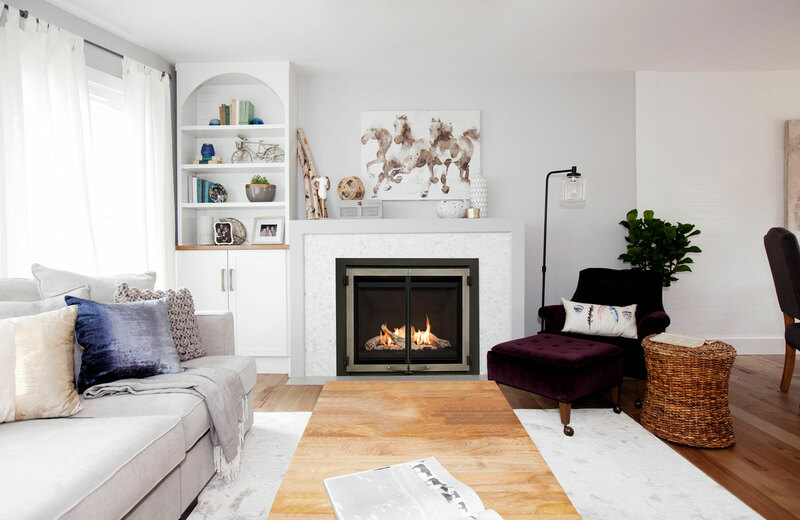 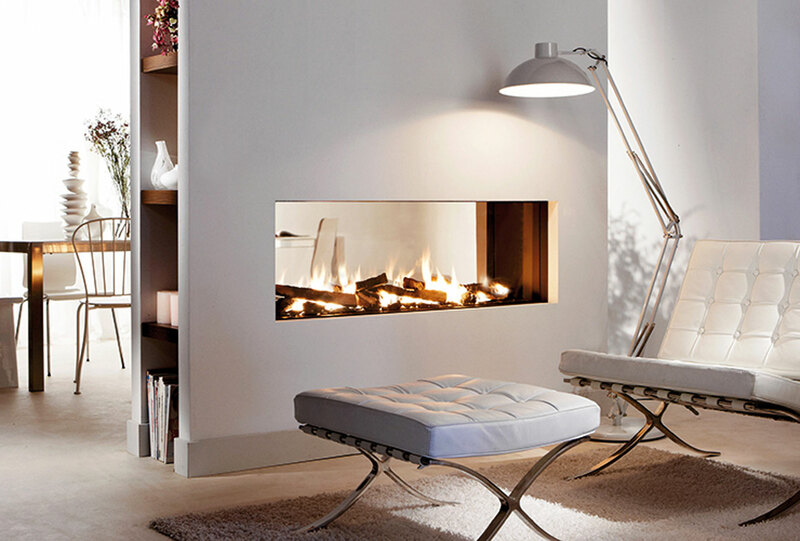 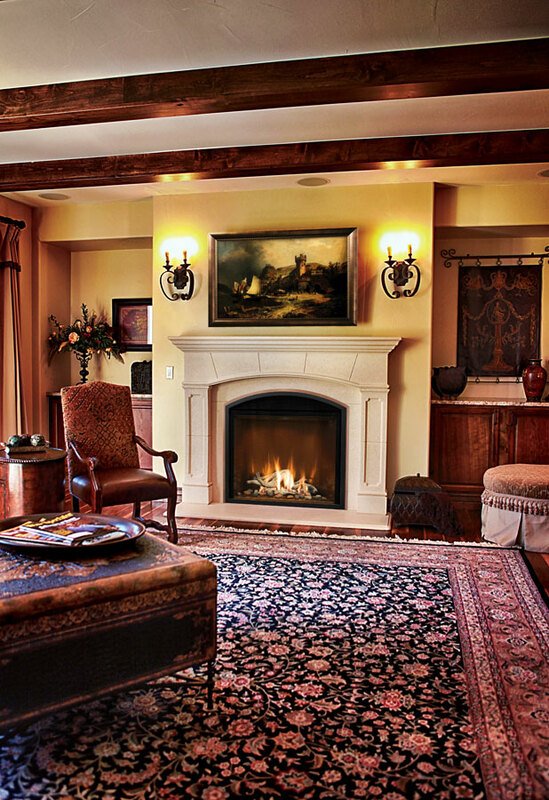 A gas fireplace can help provide heat and bring the look of a wood-burning fireplace into your home. 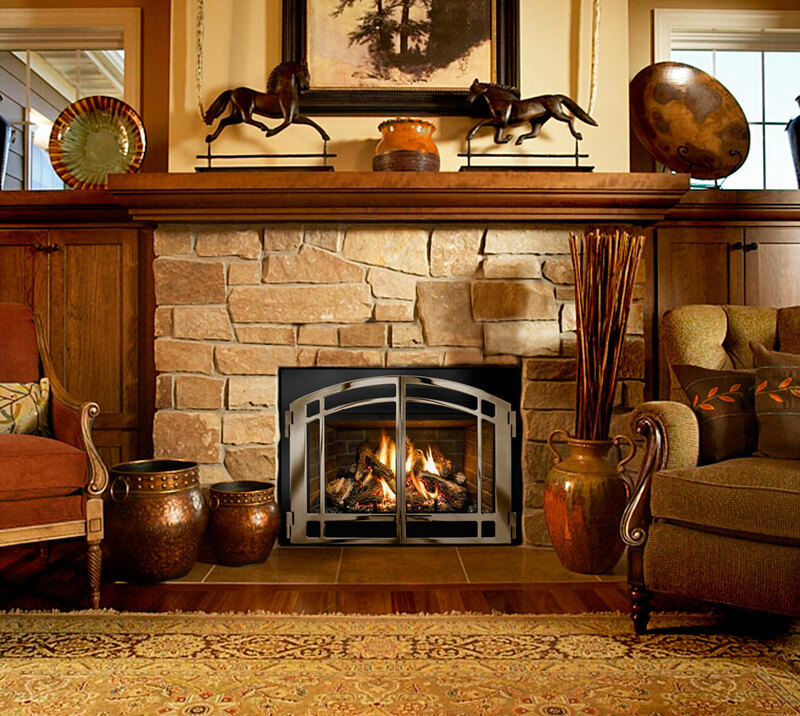 We carry a wide variety of styles, from contemporary to more traditional designs, some of which are shown here. 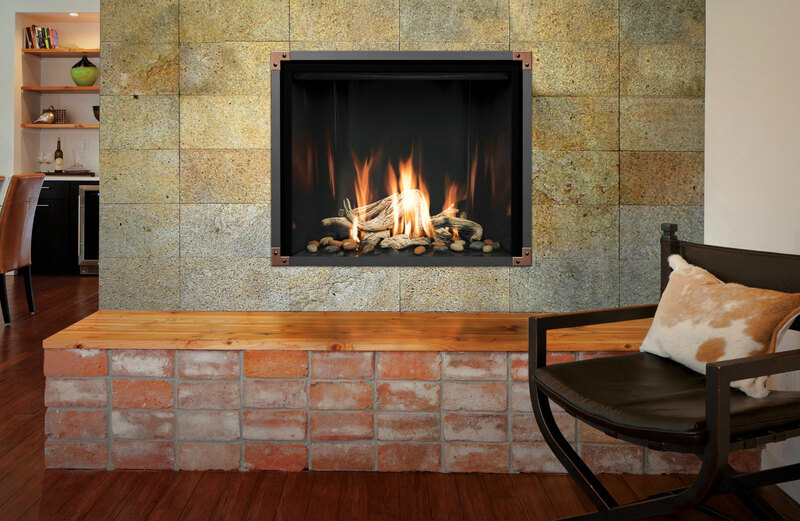 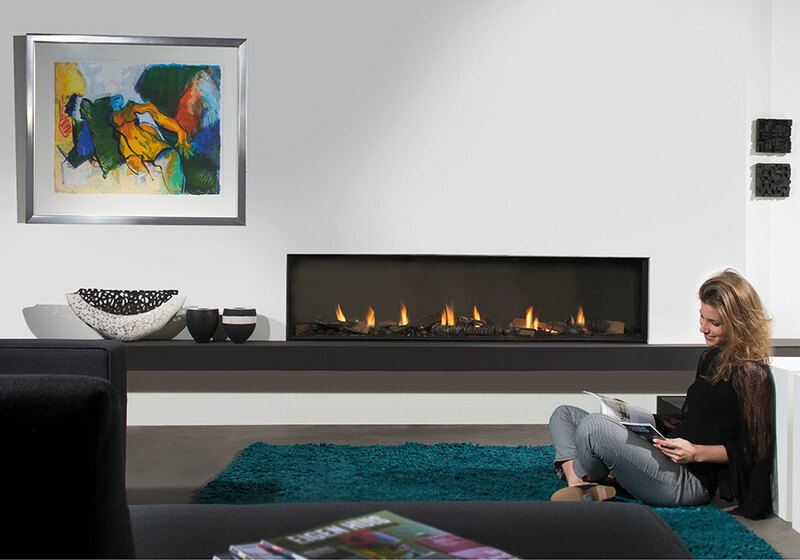 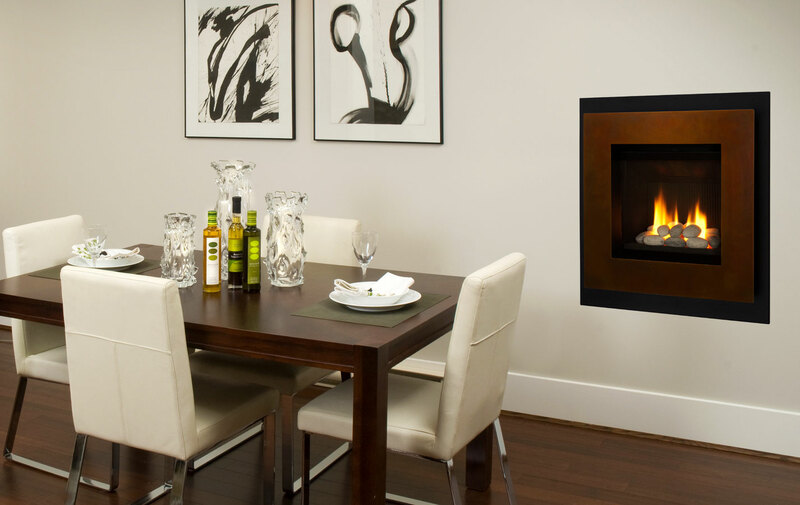 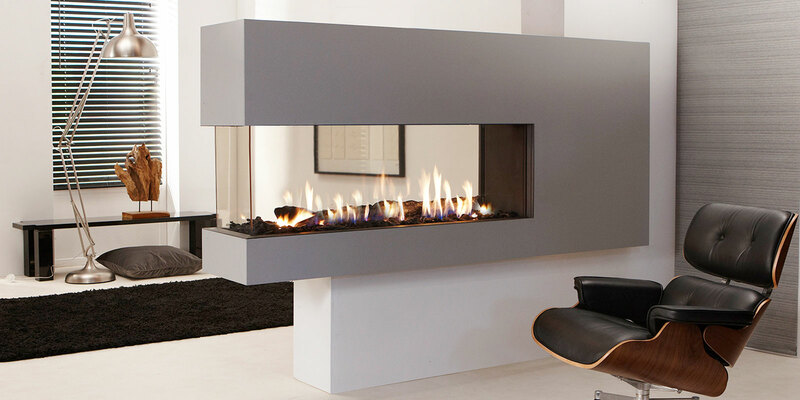 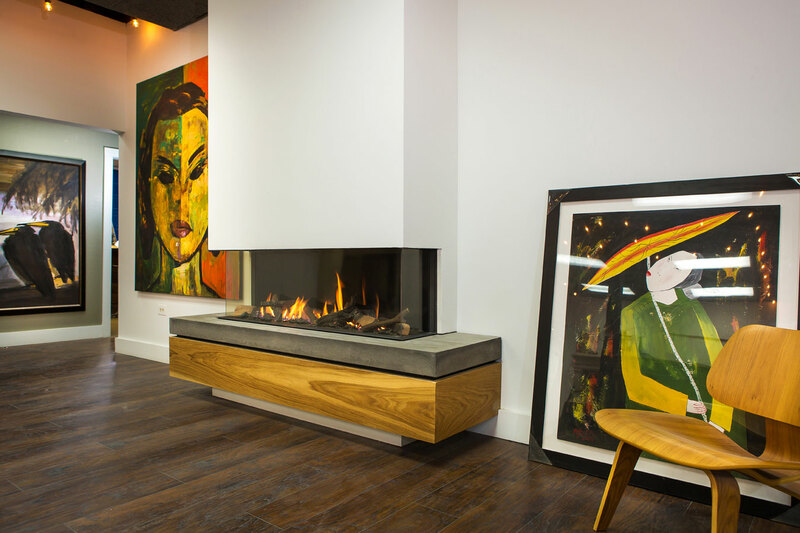 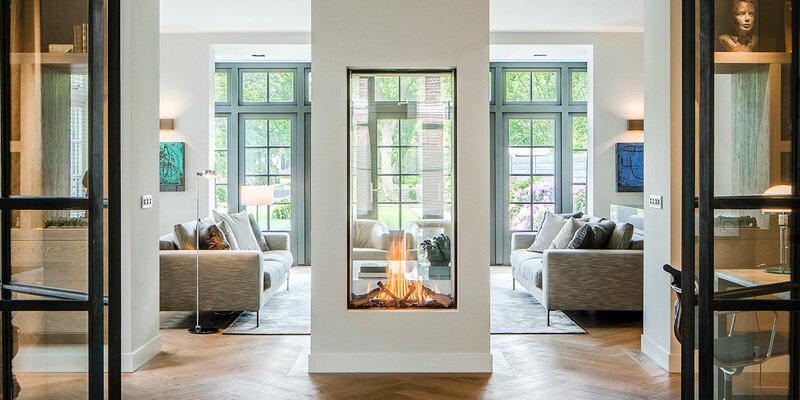 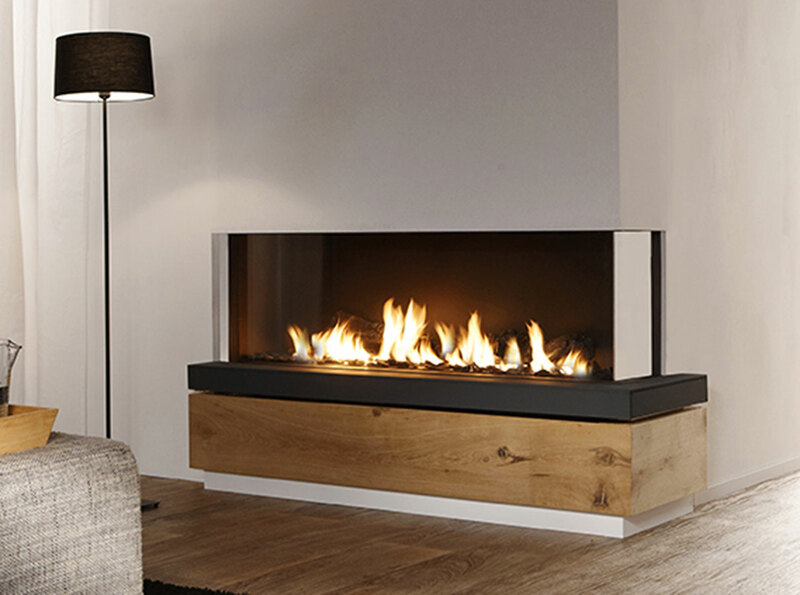 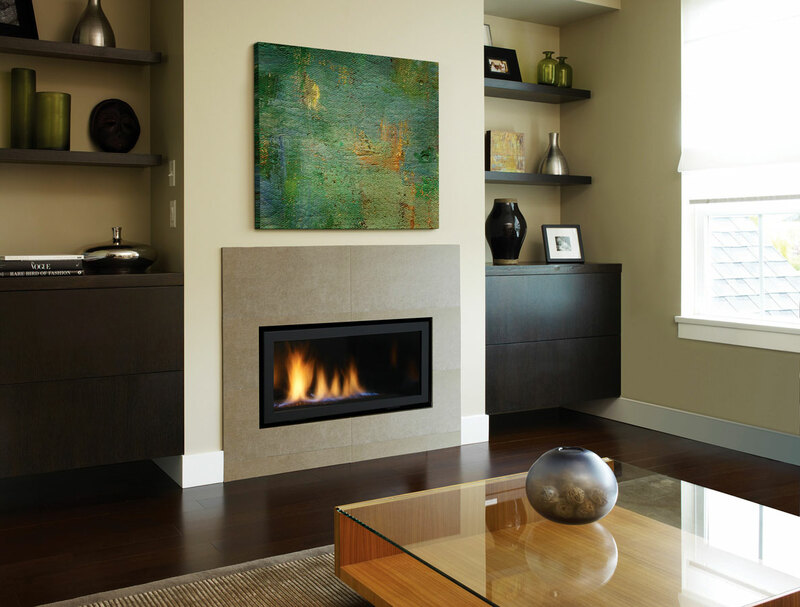 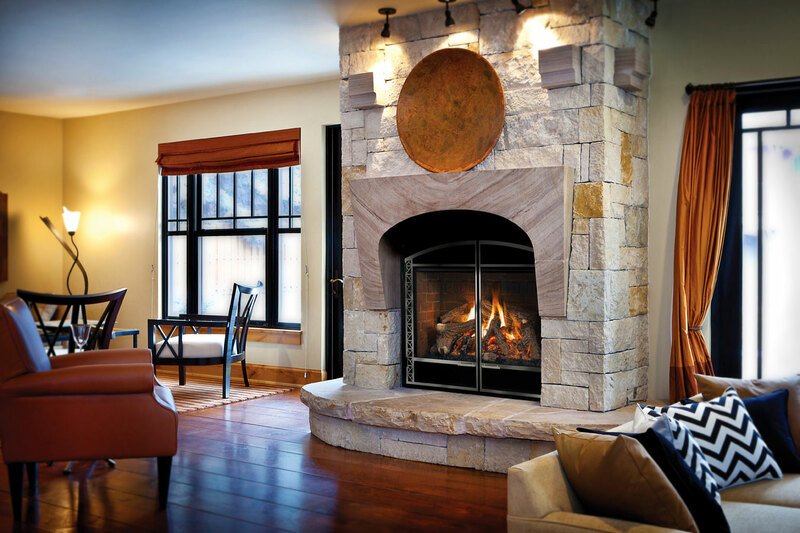 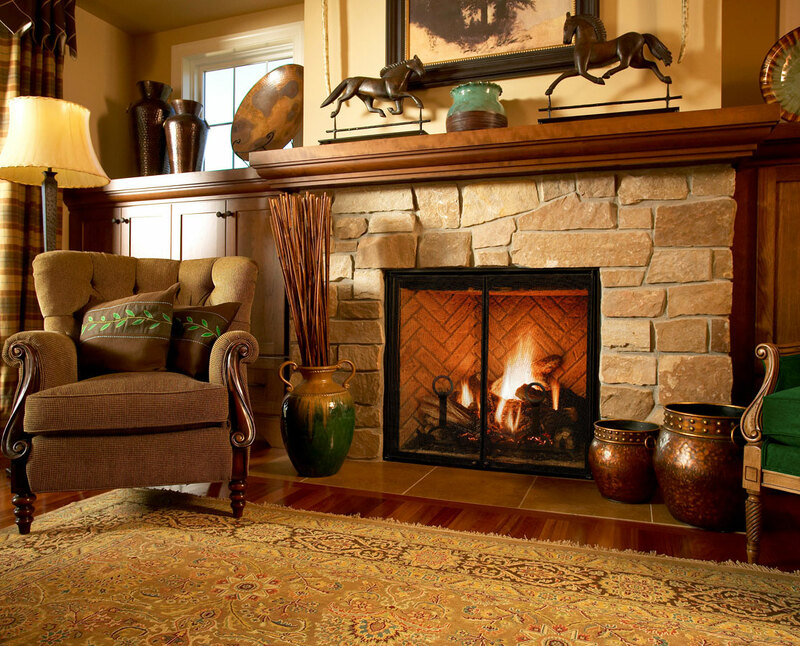 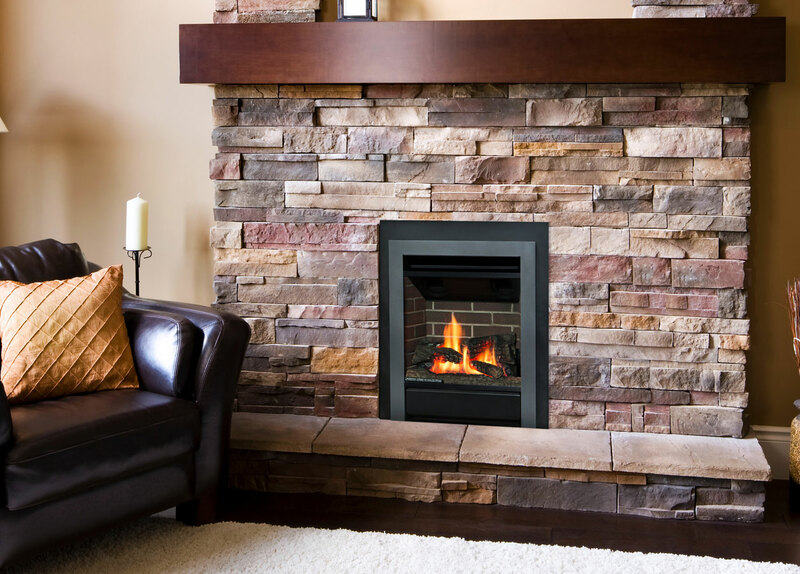 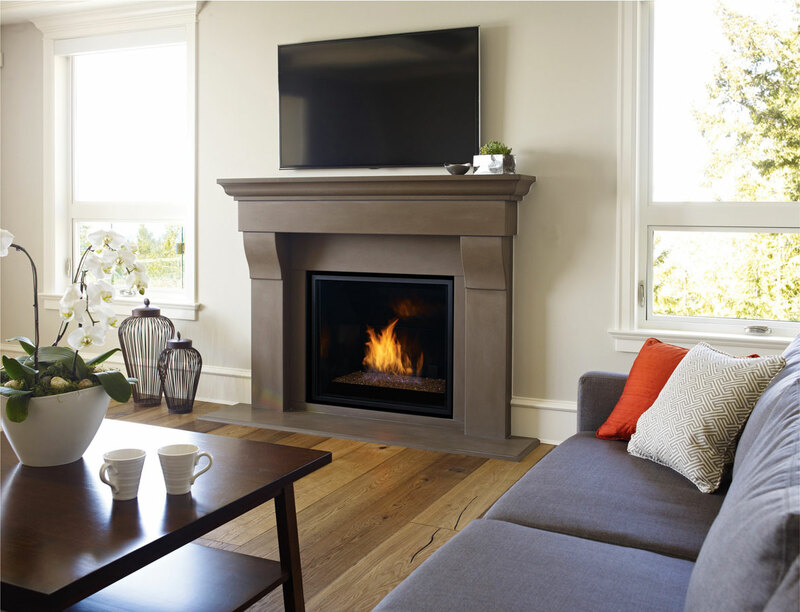 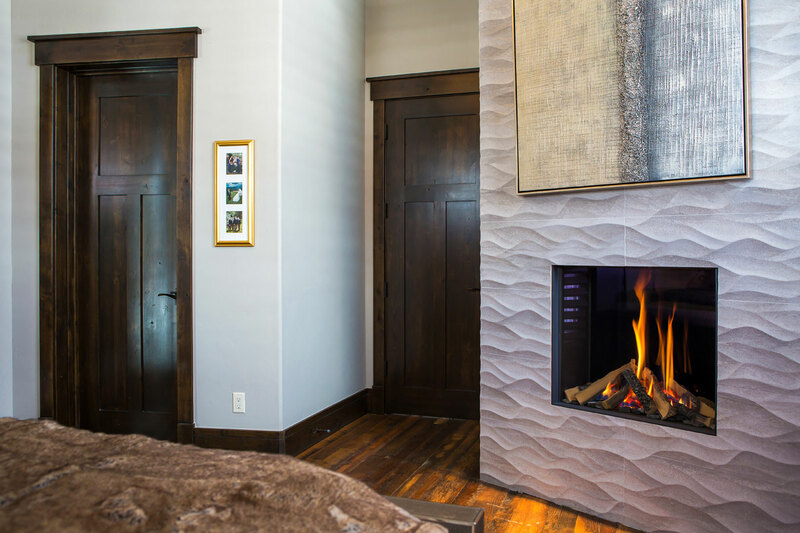 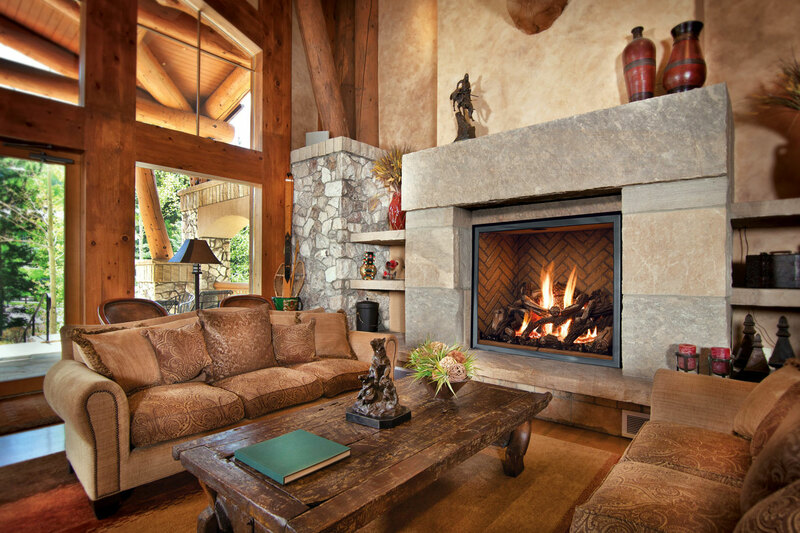 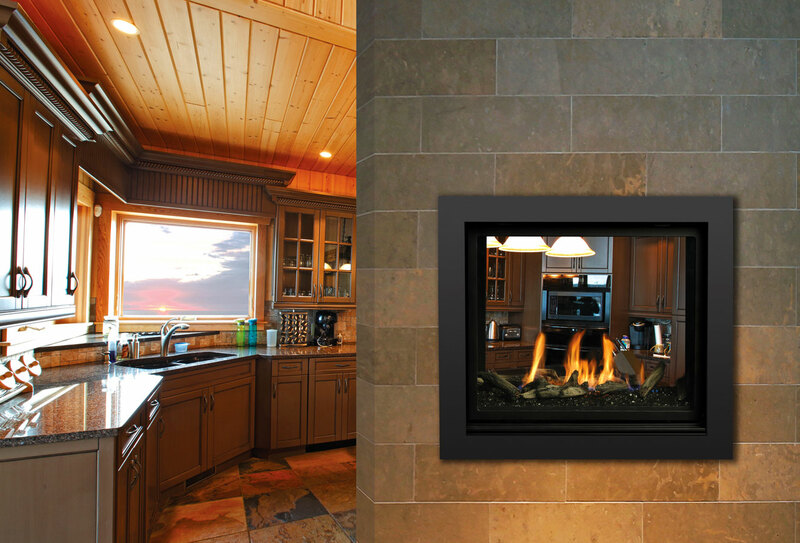 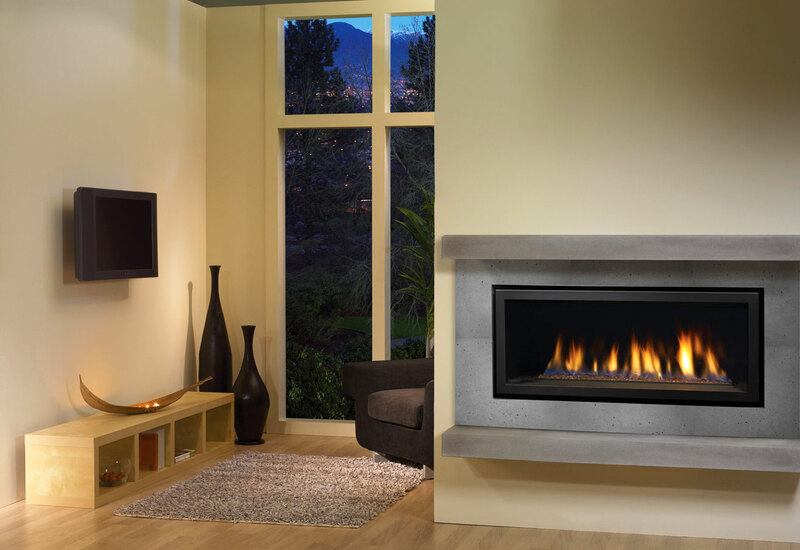 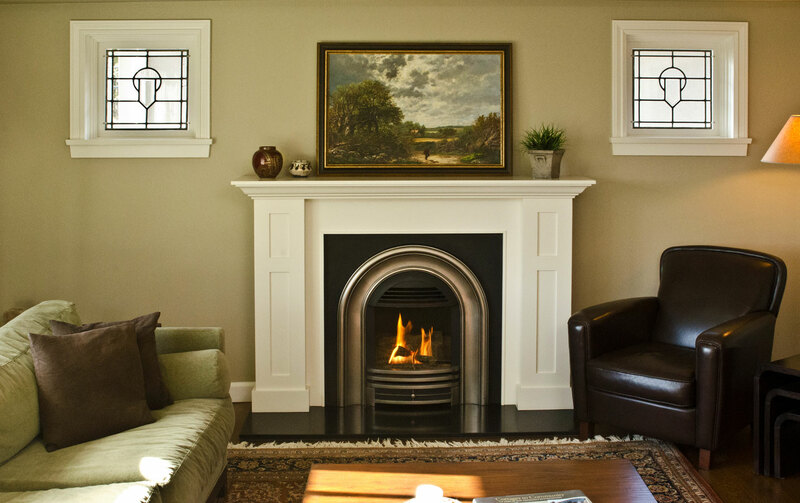 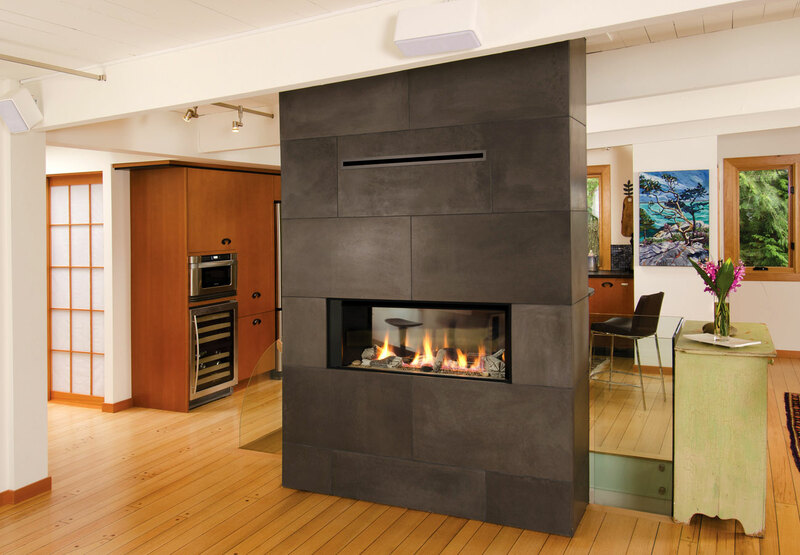 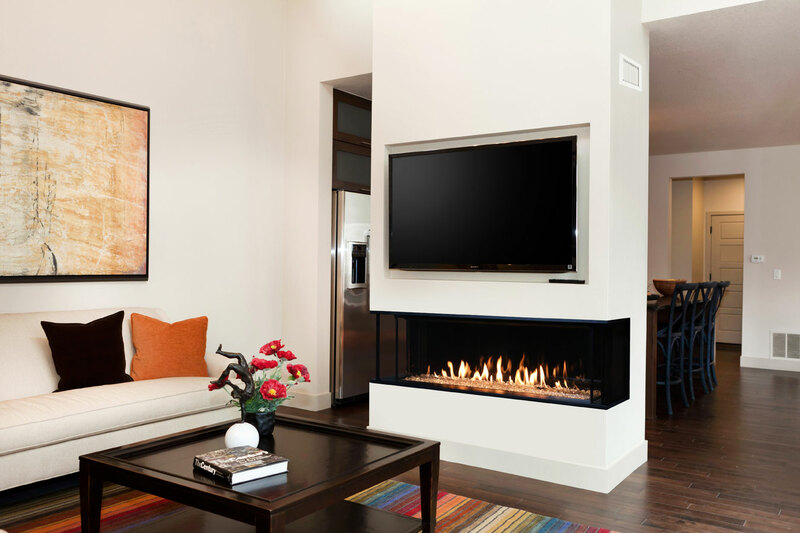 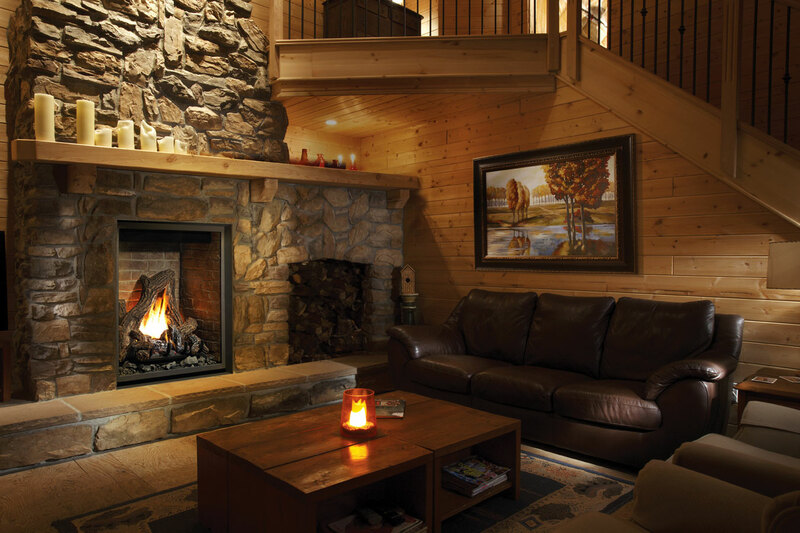 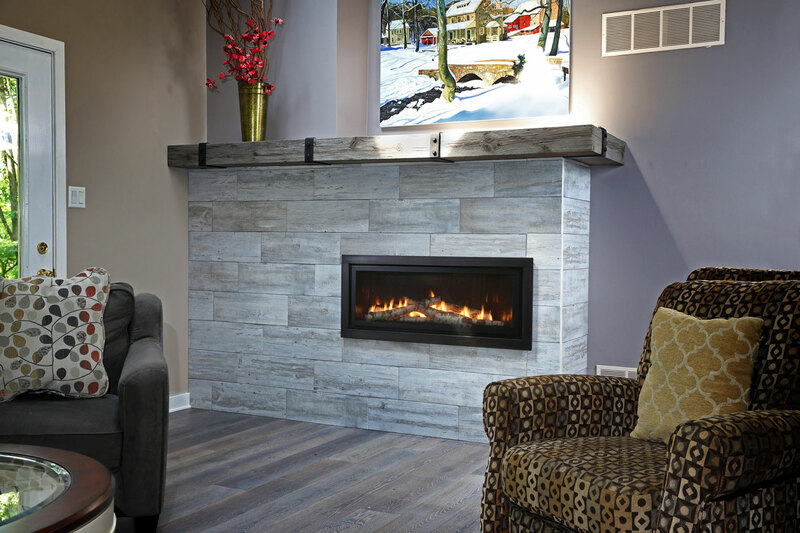 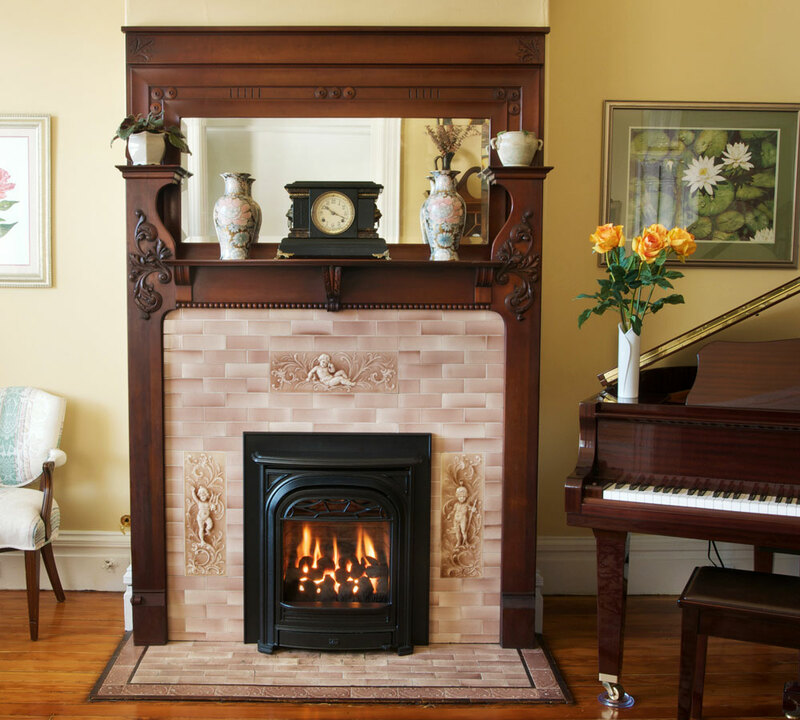 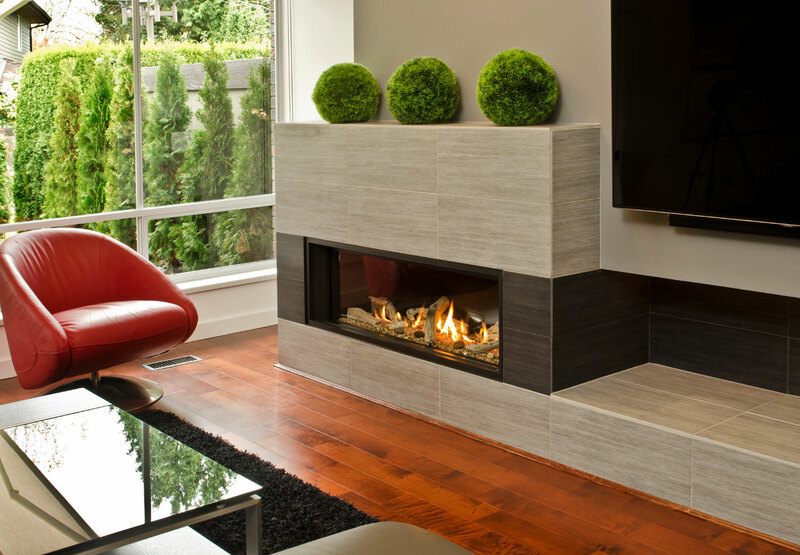 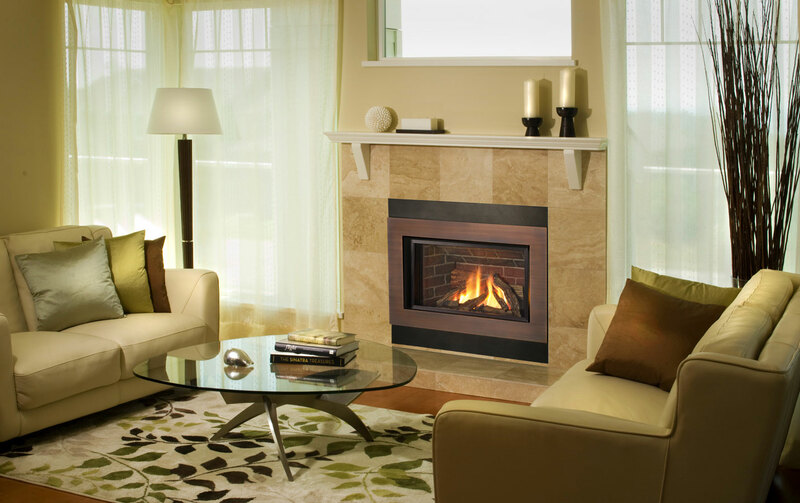 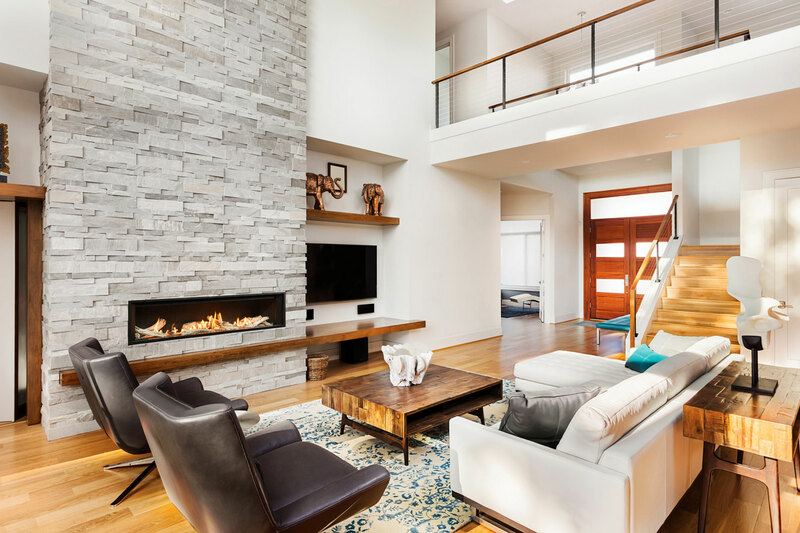 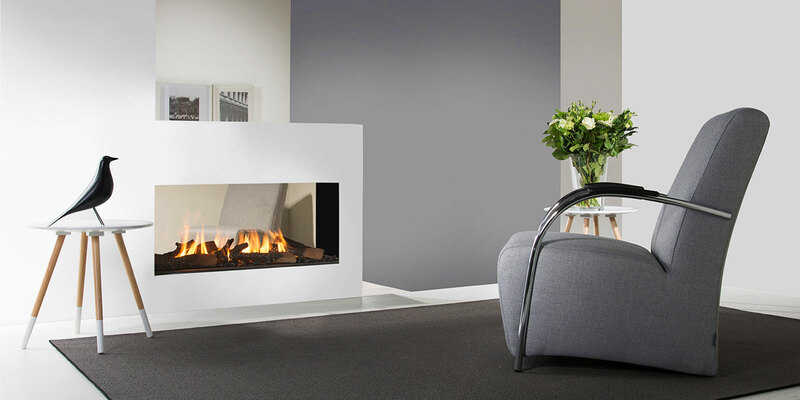 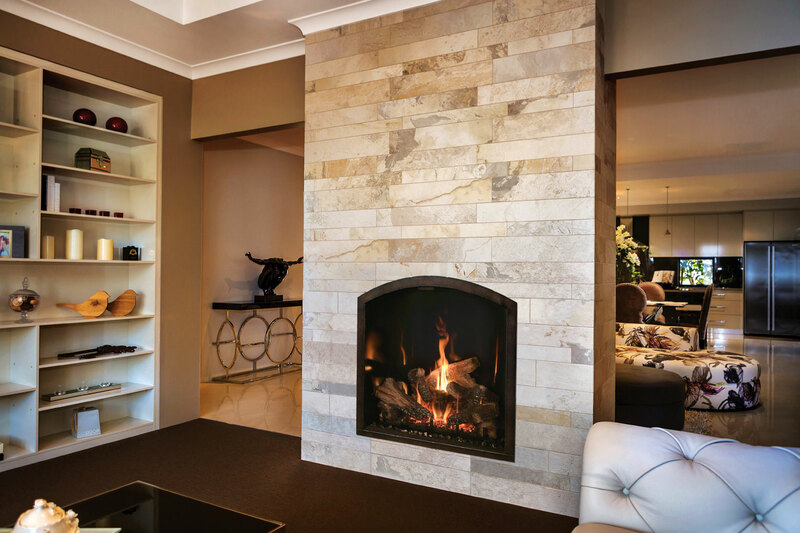 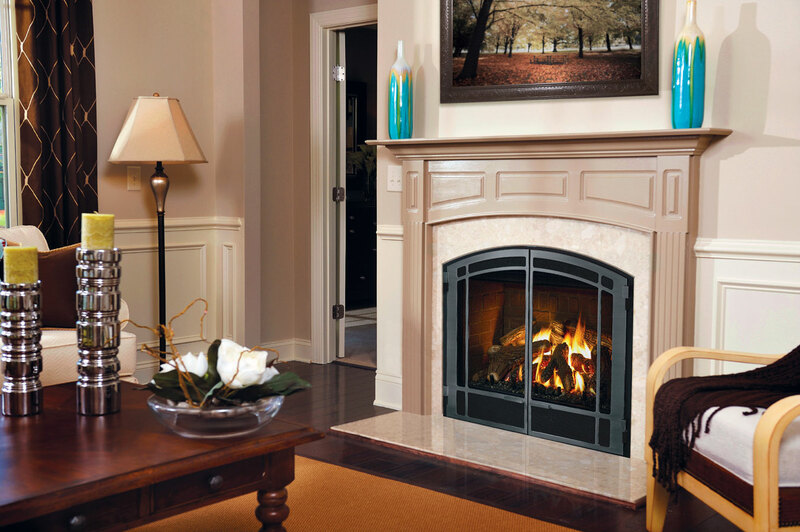 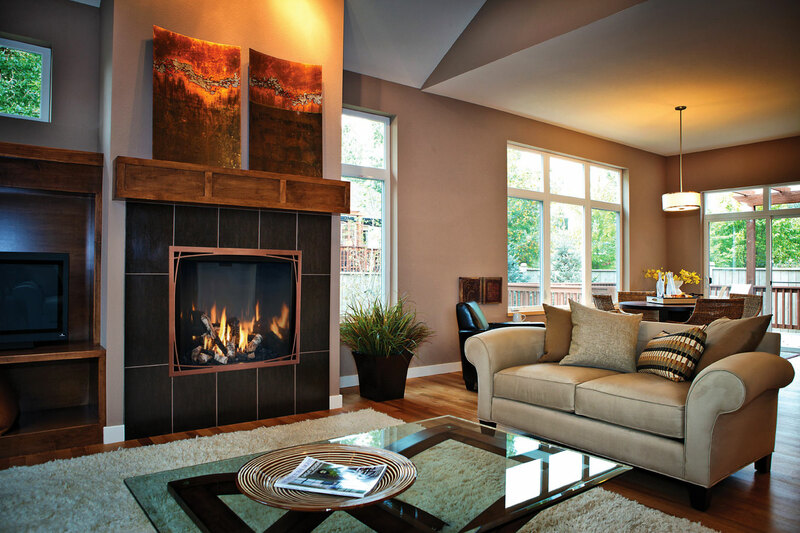 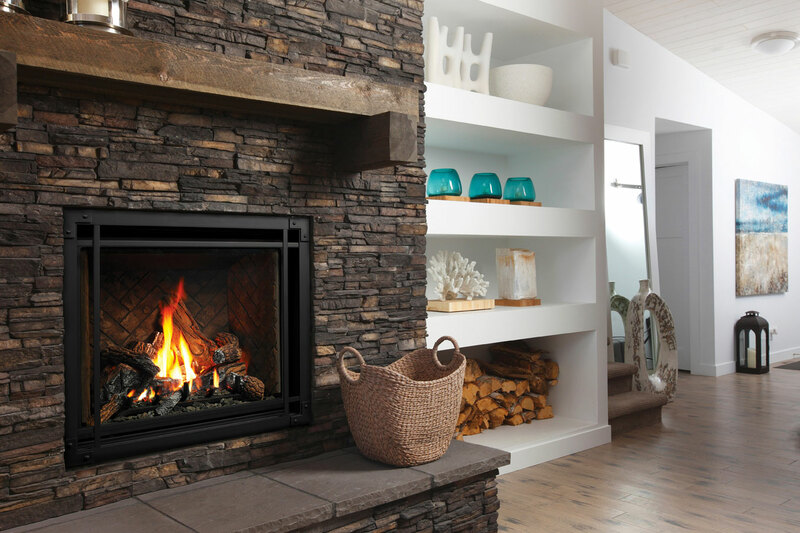 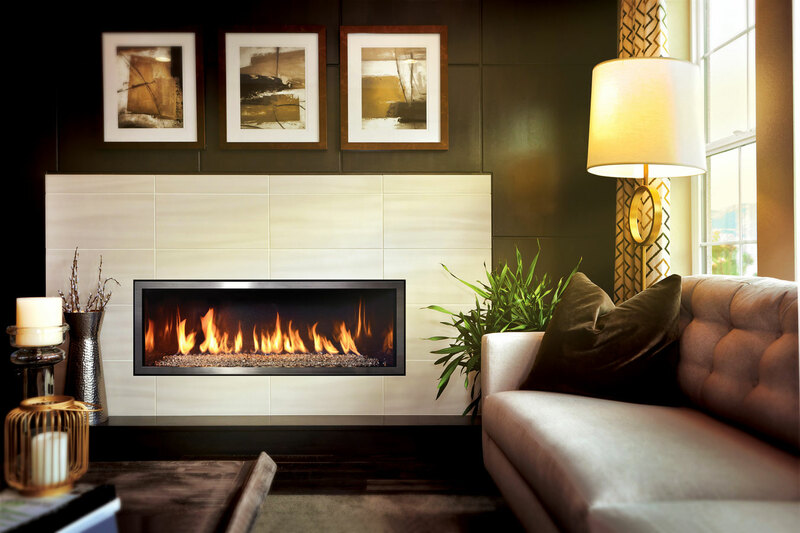 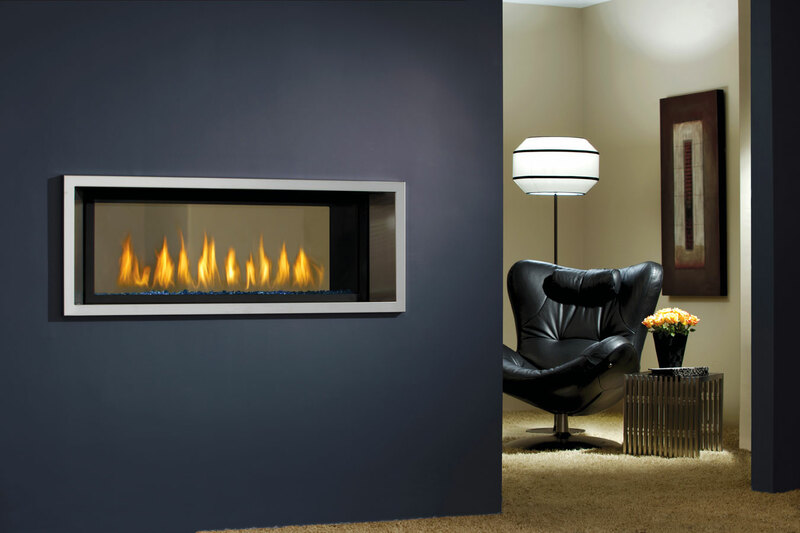 With a gas fireplace, you can choose to have the appearance of burning logs, burning stones, or colored glass. 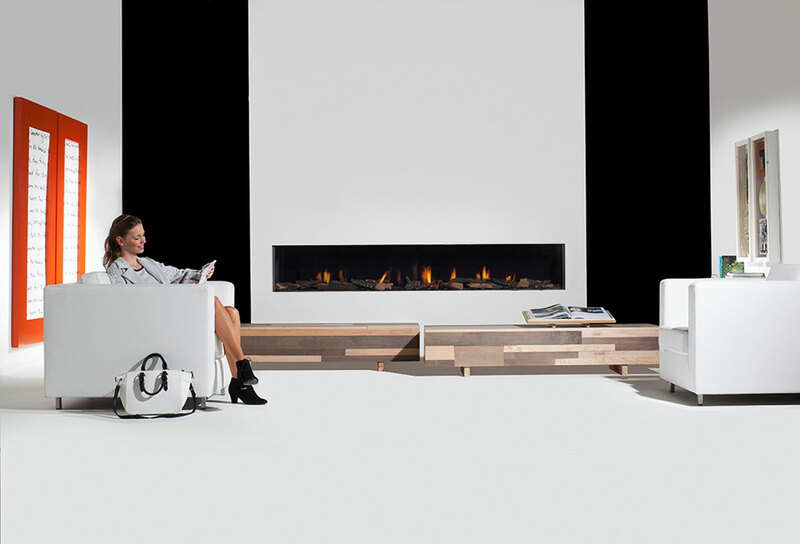 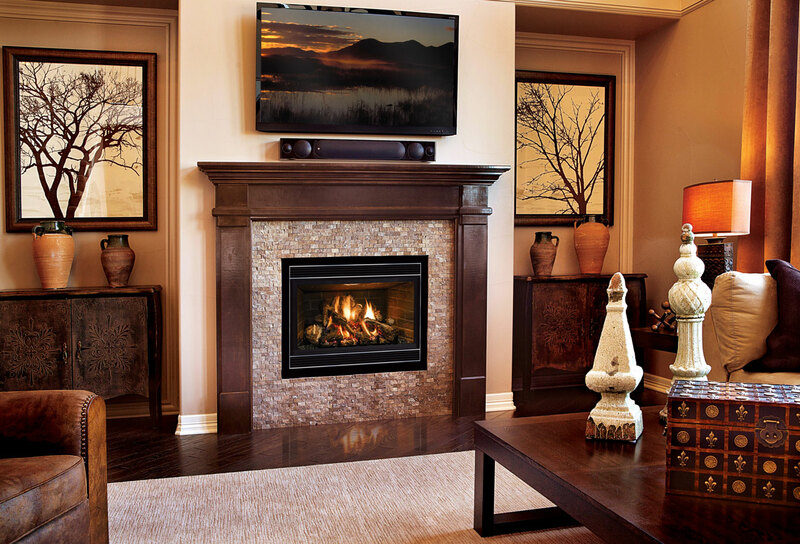 Another great convenience to owning a gas fireplace is that it can be turned on and regulated with a remote control!